Digestive problems are both extremely unpleasant and quite common in the American population. A Fox News survey reports that approximately 74% of Americans live with digestive symptoms like bloating and abdominal pain. These types of issues are closely linked with dehydration. Dehydration causes all sorts of digestive problems, most notably constipation and indigestion. Dyspepsia, nausea, acid reflux, and heartburn are all linked to dehydration. This is because when you are low on water, your body can’t produce enough stomach acid. When your stomach doesn’t have enough acid for digestion, food isn’t digested quickly enough and gets pushed back up along with some acid. Dehydration causes constipation because your large intestine needs a lot of water to break down your food and extract the nutrients. The more dehydrated you are, the more the passage of waste through the lower intestine is slowed. This is the body’s way of compensating. As the passage of waste is slowed, the intestine is able to extract more water. So how can you deal with digestive problems caused by chronic dehydration? 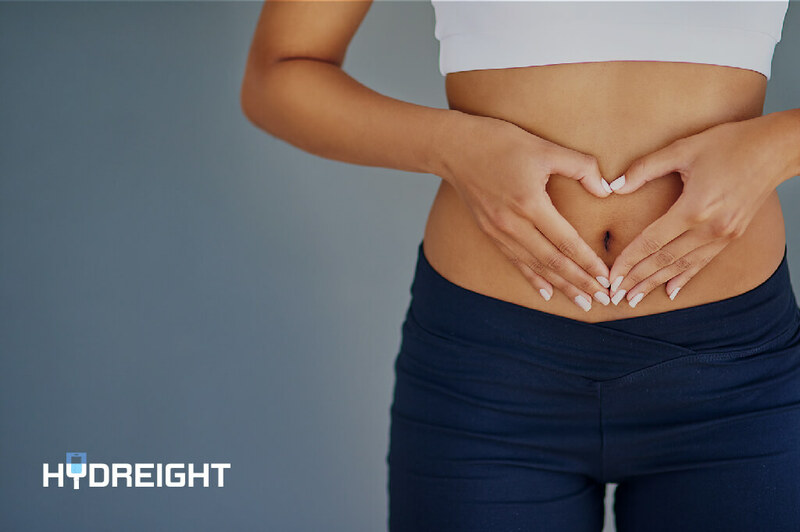 If you suffer from digestive issues, the most important thing you can do, aside from staying hydrated, is manage your diet and exercise regularly. Eating plenty of fruits and vegetables will reduce bouts of bloating and constipation. Fiber helps tremendously with constipation and is found in high concentrations in fruits and veggies. Exercise can also help you deal with these issues, as the body’s systems are stimulated by activity. It can be difficult to counteract the effects of chronic dehydration simply by drinking water. The body only absorbs about half of the water you consume. When you live a busy lifestyle and are exposed to the dehydrating effects of things like caffeine and alcohol, drinking enough water to counteract these effects can be challenging. It also takes a while for the effects of drinking water to kick in. With IV infusion therapy, you can experience the rejuvenating effects of total rehydration in as little as forty minutes. Not only that, IV infusion therapy provides essential nutrients to your bloodstream, so you are both rehydrating and nourishing your body at the same time. These fluids are delivered intravenously which means the body is able to absorb 100% of the hydration and nutrients on offer. Those who suffer from digestive problems know just how debilitating they can be. IV infusion therapy offers an easy and quick solution to these problems. With Hydreight’s mobile service, you can order an IV treatment to wherever you are, whenever you need it most! Simply download the app to find an IV Specialist near you.